The Allure of the Archives – loudlatinlaughing – Euge! Euge! This book will delight anyone who has spent any time doing research. Translated from the French by Thomas Scott-Railton, this was originally published in 1989 before the vast digitization of archives had begun in earnest. 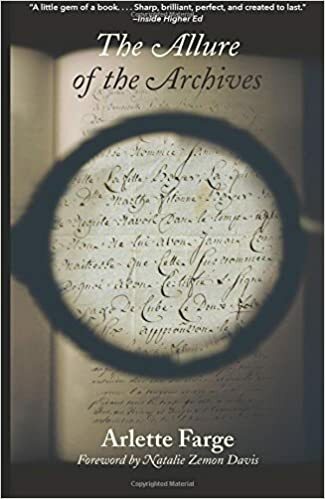 Farge leads us through the Parisian archives of criminal complaints from the 18th century, peppering her account with scenes from her own time—racing other researchers to get the best spot, shivering with the cold, hoping that the lights stayed on. She also brings to life those characters she encounters on the page, the man who embroidered a letter to his wife on a handkerchief while in jail, a packet of seeds that had not been opened in 2 centuries.